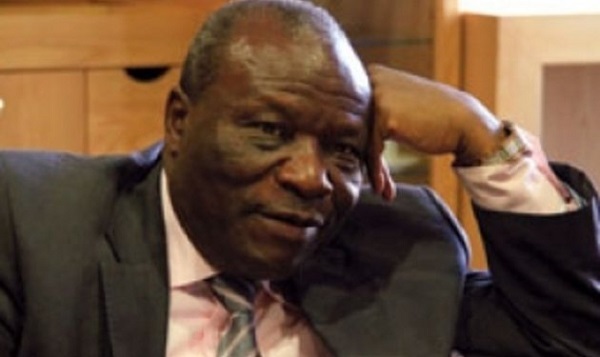 ZIMBABWE – Former Transport and Infrastructural Development Minister Nicholas Goche (pictured) has challenged a woman’s $9 450 maintenance claim saying he doubts he is the father of the child. In his submission filed by his lawyers, Chatsama Legal Practitioners, before Harare Civil Court magistrate Mrs Barbra Mateko, Mr Goche said he never married Ms Laura Melisa Ebineng and the minor child whom she needs maintenance for is not his. Mr Goche ordered Ms Ebineng to produce proof of the marriage and that he is the biological father of the child. “The respondent never married the applicant customarily as averred and the respondent puts the applicant to the strictest proof thereof,” Mr Goche said in his submissions. “What the applicant intends to do is to put a basis for her claim which is clearly a lie. The minor child was not born of a marriage union between the parties; again applicant is put to the strictest proof thereof. “I was never the husband to the applicant at any time. In fact, when the minor child was born, I insisted that paternity tests be carried out before a birth certificate was registered as I had strong doubts about the child’s paternity,” said Mr Goche. The former minister argued that Ms Ebineng refused to undergo the test before the two acquired a birth certificate for the minor child. He also submitted that he was able to pay Ms Ebineng $850 a month she was receiving before she made a $9 450 maintenance claim for their minor child. “Indeed, my ability to pay maintenance cannot be doubted as evidenced by the maintenance that I have been paying for a child who is not mine. I implore this court to make an order for the applicant, the minor child and myself to undergo paternity tests to prove who the natural father of the child is,” Mr Goche said. Ms Ebineng is demanding a whopping $9 450 for the upkeep of their minor child claiming she was customarily married to Mr Goche in 2002 and separated in 2006. During the customary union, the two had a child in 2003, whom Ms Ebineng accused him of neglecting. In her breakdown of the $9 450, Ms Ebineng said $130 was for rates, with electricity and water at $100, telephone $100, maid $150, food and groceries $290, fuel $480, car maintenance $3 000 and medication $300. School fees will account for $750, rugby training kit $130, rugby training fees $30, pocket money $40, clothes (school and sport uniforms) $500, casual wear $400, holidays $2 500, stationery $100, incidentals $400 and insurance $50.